Photo captured from my iPhone. The bright light seen above the accident, is the helicopter landing on to the interstate. February 17, at approximately 9:00 p.m., an accident on I-80 in West Hazelton, Luzerne County was caused due to what is called a “snow squall.” A silver Chevrolet Cobalt crashed on mile marker 135.1 and within five minutes, EMS, Schuylkill Fire and Police arrived at the scene. A local frequency police radio stated that two victims were inside the vehicle and needed an air evacuation to Schuylkill Medical Center. An officer listed one of the victims as female born in 1990, putting her about 22 years of age. Status of both victims is unknown, and information on any other possible victims is also unknown at this time. At 10:46 p.m., I spoke with a local news correspondent and videographer from the Times Leader. Events have turned tragic as the crash has officially been stated as a fatality. Traffic is said to be blocked for an additional two to three hours. A helicopter had landed on mile marker 135.3 approximately 9:15pm and later lifted off in the direction of the Schuylkill Medical Center at about 9:45pm. 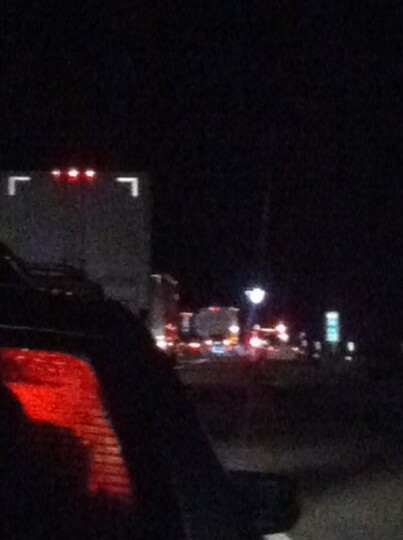 The police scanner stated that the shoulder on I-81 was clear, but traffic is still at a standstill. A follow-up story is to be posted within 24 hours.